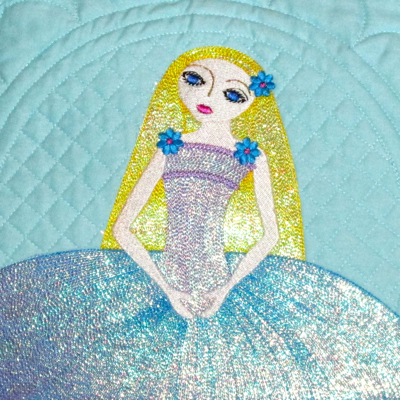 Bella Ballerina shines in Mylar! 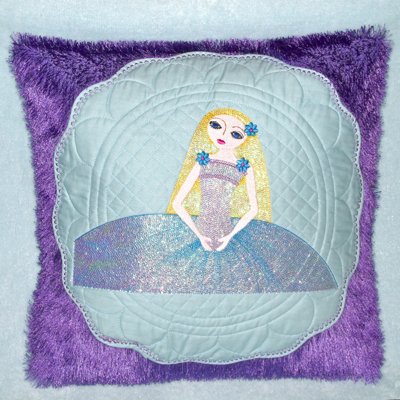 For the budding ballerina, this one is a dreamer of dance delight! And she's PRINCESS perfect too! Created for the larger hoops, Bella Ballerina is perfect for little girls, perfect to fancy up her bedroom,an oh so special dance tote or jacket. 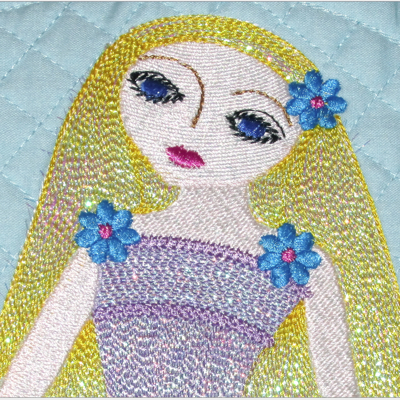 Pillow perfect too & quilt center spectacular, this one will delight any little girl that dreams of tiaras or tu-tus !!! Poised for dance (or crown!) 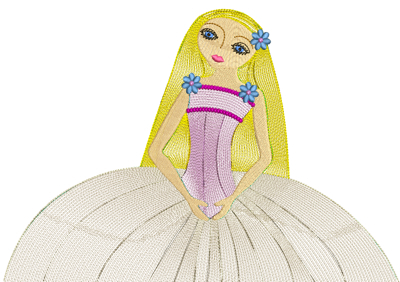 Bella Ballerina will make your Prima Ballerina or Princess in waiting, feel like her dreams just came true!!! PLEASE READ! 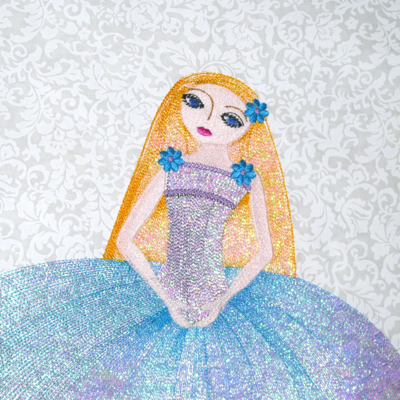 Due to operator error (mine of course) I do not have photos of my final revision of Bella Ballerina, as she has already been gifted! The photos shown here are the photos of Bella before I decided to revise her tu-tu to ehance the left side with a gentle rounding. This change eliminates the squared look on the left, now improved with a softer and more pleasing curve and a more delicate look. Bellow is screen shot of how the revised file actually looks with this softer change. Please know she is still just as beautiful ... now only more so!